A club where each of us have set a goal of writing at least 100 words a day! 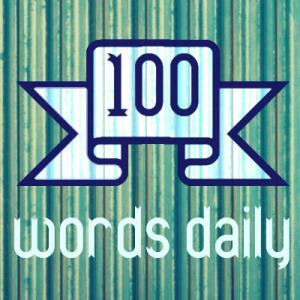 100 words a day is 36,500 words in a year -- 36,600 in a leap year! This way, a novelist can easily write a full draft in two years, short story writers can put together anthologies, and poets can churn out an epic or two if they so desire. This club is for anyone and everyone with any kind of writing -- prose, poetry, screenwriting, anything you can dream of. Set a goal and reach it, step by step! He began to wonder why he had felt uneasy at all. It was like a man wondering in broad daylight why a dream had appeared so terrible to him at night.